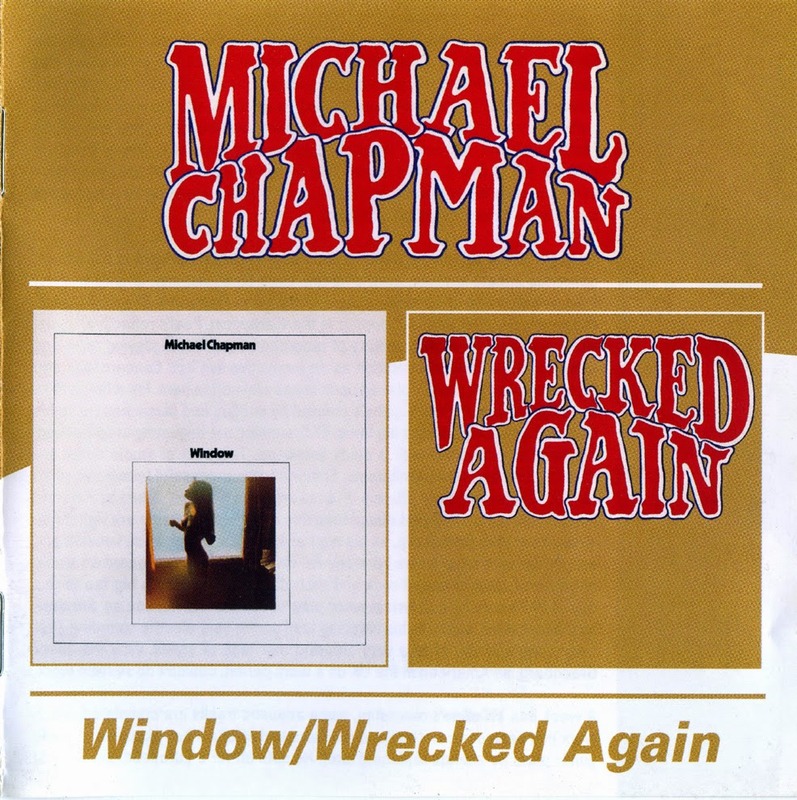 One of the most understated but spectrally beautiful of all Michael Chapman's albums, Window evidences just why producer Gus Dudgeon was in such demand during the early '70s, as he allows the idiosyncratic Chapman to weave each and every one of his musical moods through the sequence, without the record ever appearing to lose its grip. At the time of release, most attention was on the closing craziness of "She Came in Like the '6:15' and Made a Hole in the Wall," as performed (says the sleeve) by the Massed Voices of the Dean Teagarden Singers, featuring the Screaming Skull, the Bombay Banger, and Arthur Dogg. 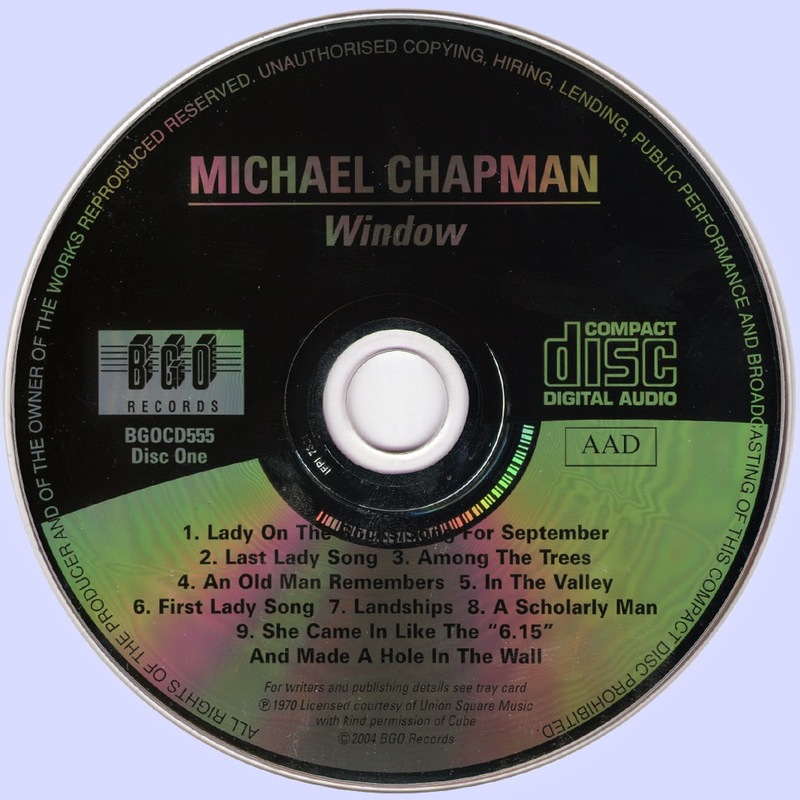 However, there are equal (if less lunatic) joys to be drawn from the reflective "An Old Man Remembers," while the opening "Lady on the Rocks/Song for September" pairing and the disused bookends of "First Lady Song" and "Last Lady Song" all rate among the young Chapman's most engaging works. Michael Chapman has told more than one interviewer that he’s not really a folk guy. He may have played plenty of folk clubs in his life, often with just an acoustic guitar in hand, but he was just early on board the bandwagon of jamming econo. 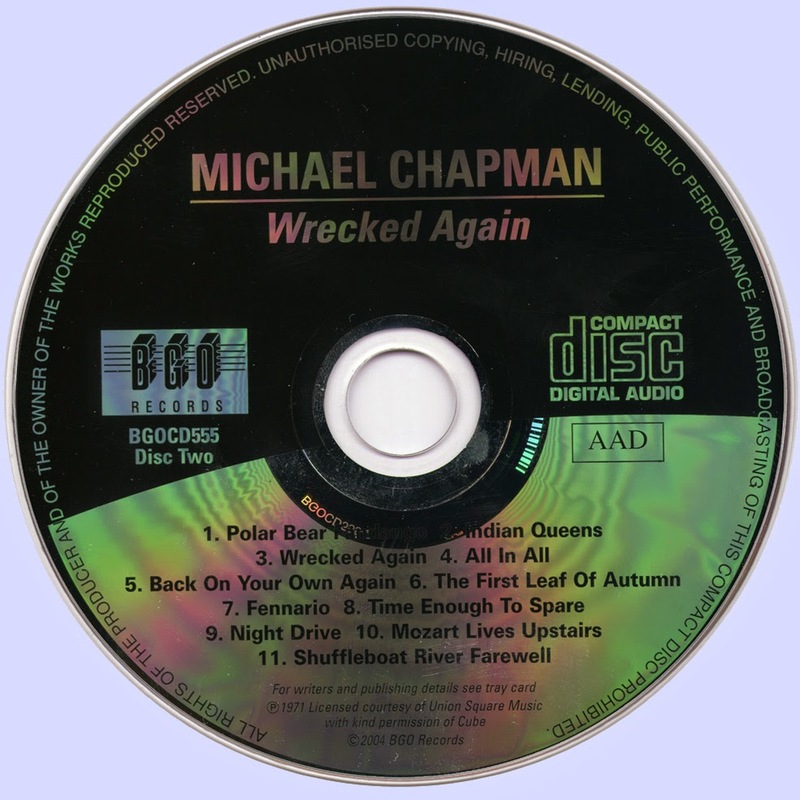 Chapman certainly didn’t frame himself as a folky for much of his recording career. Case in point: Wrecked Again. Released in 1971, it’s the fourth and final record that he made for Harvest, and the third reissued in typically swanky fashion by Light In The Attic (Chapman’s disowned the third, Window, so I expect you’ll have to scour the used bins or blogosphere if you want to hear it). Certain key personnel from the first two albums reappear on Wrecked Again. Bassist Rick Kemp was Chapman’s most enduring partner for many years, and his melodic playing has a strong presence here, often toggling between keeping the groove and doubling Chapman’s vocal line. Also back on board were producer Gus Dudgeon and string arranger Paul Buckmaster, who after first working together on Chapman’s Rainmaker had become the architects of Elton John’s sound. There are definite similarities in approach here; dense horns and lush, cello-heavy strings bulk up several songs, generally in ways that amp up their emotional impact without hobbling the sound of the core band, which was rounded out by lead guitarist Ray Martinez and drummer Pique Withers (both of mellotron rockers Spring -- Withers would go on to drum for Dire Straits). Martinez is a pro, capable of playing whatever the music requires and a little bit more, but he doesn’t match Mick Ronson’s playing on Fully Qualified Survivor. And while Chapman plays both acoustic and electric guitar, he does very little of the full-time fingerpicking you can hear him do nowadays in concert and on records like Trainsong; Martinez, Kemp, and the strings handle all the fancy bits..
Chapman, like most guys who picked up a guitar and started singing in the middle of the 20th century, had a bit of a Dylan thing happening on his early albums. But Chapman’s lyrical aspirations never really matched Dylan’s; he’s generally been content to spin a tail about his own life or a place that he’s seen, spike it with some dry humor or hardnosed sentiment, and leave it at that. When he reaches for an epic feel on the closer, “Shuffleboat River Farewell,” you can hear him replacing Dylan’s influence with a wider appreciation for American music. “All In All” and “Time Enough To Spare” have a funky country and western feel, with plenty of twang bolstered by a sturdy groove. For “Mozart Lives Upstairs,” he musters his best blues bawl, which is made more convincing by Martinez’s dated but entirely a propos leads. And that’s what makes this record a shade less essential than Rainmaker and Fully Qualified Survivor — not the bluesiness, but the of its time quality. You hear the strings, the indulgences, the sparse and solid thwack of the drums, and you think early 1970s. If you’re looking for a solid but non-transcendent representative of that time, this could be your reissue of the year. But if you’re looking for peak early Chapman, I’d start with Survivor, then work back to Rainmaker, and only then get Wrecked Again. 4. All In All - 3:02.